Ctra M506 Km 20.700, 28941 Fuenlabrada, Spanje. 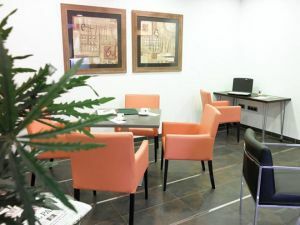 H2 Fuenlabrada is a newly built establishment, located in a dynamic business area. It offers 113 modern rooms having a full equipment including, among other facilities, air conditioning, heating, satellite TV, PC connection and mini-bar. 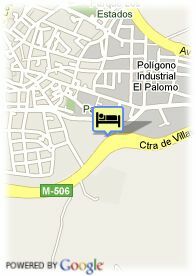 The establishment is the perfect place to spend your holidays or business trips in Madrid. The hotel is situated at 15 minutes from Madrid centre, and with good communications to the financial area and the airport of the Spanish capital, as well as other touristic attractions such as the Escorial, Warner Bros Park, the cities of Toledo and Arajuez. Betalende overdekte parking aan het hotel (3.00 €), Busparking.